Posted in Comparison, pictures	by Jessica W.
Products reviewed were purchased by myself. 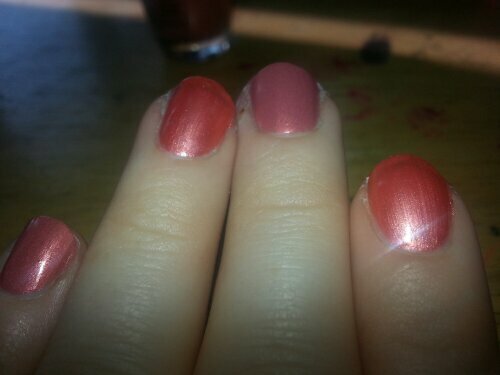 Orly is on my index and ring fingers, OPI on the middle and pinky fingers. This was two thin coats of each, no top coat. 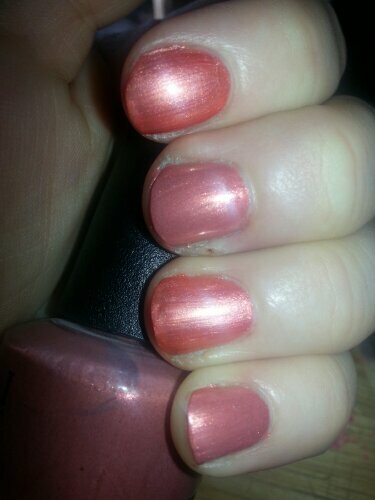 In this photo, you can tell that Orly is more metallic of a finish and OPI is more of a shimmer. This photo definitely shows the difference in color. Orly is much more orange leaning, OPI leans pink/purple. I love these colors!! 🙂 Peachy Keen!